The clay court tournaments of the ATP World Tour 2017 kick off on February 01 in Quito, with the Ecuador Open. This tournament is also the first in a series of five ATP tournaments through Latin America, and it will be a great opportunity for New Zealand punters to get some tennis action early in the year. Players already confirmed for the 2017 Ecuador Open include Serbia’s Janko Tipsarevic, Ukrainian Alexandr Dolgopolov, and Croatia’s Ivo Karlovich. Dedicated punters will be keeping a close eye on Tommy Robredo, however. The Spaniard is at his best on clay, and he has won this leg of the ATP before: in 2011, when it was held in Chile. Coming back after surgery for an elbow injury in May, after a truncated 2016 season that saw him drop out of the world’s Top 100 rankings for the first time since February 2013, he has lots to prove. 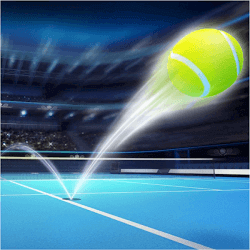 Tennis sports betting options don’t end when the Ecuador Open winds up on February 07; the Garanti Koza Sofia Open runs from February 05-12. Held at Bulgaria’s premier stadium, the Arena Armeec Sofia, it will give New Zealand’s tennis fans plenty to punt on. Spanish defending champion Roberta Bautista Agut will be determined to hang on to his Sofia Open title, but he will be up against other leading lights of the ATP World Tour like Belgian David Goffin, Austrian Dominic Thiem, Serbia’s Vikto Troicki and Bulgarian Grigor Dimitrov. Also running from February 05-12, the Sud de France Open in Montpellier will compete with the Sofia Open for New Zealand punters’ attention, but it’s going to be a week filled with top-quality tennis. Croatian Marin Cilic, No. 6 in ATP world rankings, will attract a lot of bets, but the Frenchmen ranked 12th and 18th, respectively, Jo-Wilfried Tsonga and Richard Gasquet, should be stiff competition. Tennis fans will also want to watch Cilic’s countryman, 20-year-old Borna Coric. He’s only ranked 48th at present, but he’s beaten Rafael Nadal twice, most recently to win the 2016 Cincinnati Masters in straight sets. He’s also back after surgery interrupted his 2016 season, so we’re expecting some fireworks from him. Great Britain have announced an unchanged team for their Fed Cup World Group II play offs against Kazakhstan, which is set to start at the end of April. British number …. 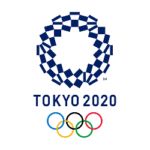 The 2020 Olympic games men’s tennis finals that are set to take place in Tokyo have recently undergone a rule chance that sees the final being played over three sets …. Two time Wimbledon winner Andy Murray has recently been named as the official starter for the 2019 London Marathon. He will be following in the footsteps of the Queen, who …. Simona Halep took her fourth successive victory over Venus Williams and has advanced to the quarterfinal games of the Miami Open. The Romanian third seeded hit a total of 21 …. Britain’s Johanna Konta and Cameron Norrie have advanced to the quarterfinals of the Mexican Open. 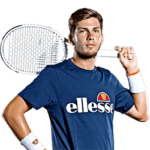 Norrie, who is world men’s number 64, earned a 7-6 (7-5) 4-6 6-3 victory over ….